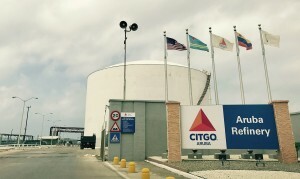 WASHINGTON - President Trump is exempting Citgo Petroleum Corp., owned by Venezuela’s government, from the financial sanctions imposed Friday on the country. “We are issuing general licenses permitting transactions that would otherwise be prohibited under the executive order,” Treasury Secretary Steven Mnuchin told reporters Friday. The company hired the firm — founded by former Trump campaign advisers, including Barry Bennett — in April to press the administration on the “potential impact of U.S. energy and foreign policy restrictions on CITGO Petroleum Corporation’s operations and valuation of assets,” according to paperwork the firm filed with Congress.